Hey there, please share my Bride and Groom photography tips with your friends. Nothing will ruin your perfect day than less-than-mediocre photography. The flowers will die and the dress will fade, but the pictures will last forever. 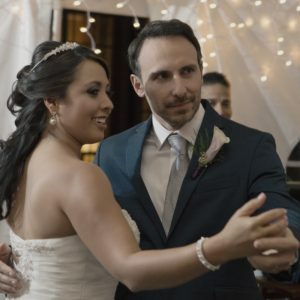 These three tips will help you make the most of your opportunity when you book a session for bride & groom photography in Brooklyn, NY. There are only 52 weekends in the entire year, and if you wait until a few months before the wedding, available photographers might be scarce. You’ll want to book a photographer at least nine months in advance so you can meet him/her, discuss shots you like or dislike, and schedule an engagement photoshoot. Once you set the schedule, make sure to stick to it. If you arrive late, your photographer may not have the time to pose you properly, and the added stress will prevent you from getting the shots you really want. The best photos are the ones that look natural, but it’s not always easy to relax when someone’s watching you. A great photographer will get to know you first so he/she can really tell your story properly. Photography is more than just posing and lighting. 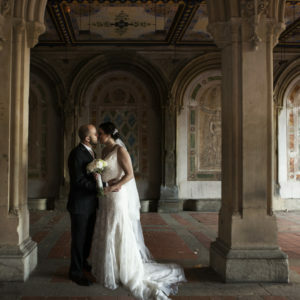 If you’re considering bride & groom photography in Brooklyn, NY, make sure to find a photographer you really like. Someone friendly and kind will help you open up a bit in front of the camera. Not even the best photographers can perfectly recreate photos you find on the internet, but you should go ahead and do your research anyway. Have a list of shots you really want, and talk to your photographer about what kind of tone you want to set in the photos. Don’t just expect the photographer to know exactly what you want. Beauty is somewhat subjective, and even professionals are not mind-readers. If you prefer to be photographed on one side or if you really don’t like certain poses, then speak up. The more effort you put in ahead of time, the better your album will be. Learn more about Wedding photography types. Looking for bride and groom photography in Brooklyn, NY? Someday, you’re going to show your grandchildren your wedding album, and you’ll want them to know exactly how special your day was. These easy tips will help you get the shots you need. Learn more about wedding photography history on Wikipedia.